🌌 WE HAVE COMPLETED our school-year-long review of the STATES of the 🇺🇸 United States and the COUNTRIES of the 🌎 world, so let’s end the year with a (big) bang, or rather the consequences thereof. Open up your River Houses atlas (riverhouses.org/books) and spend some quality homeschool time this week contemplating the truly magnificent astronomical plates you’ll find there (120–127), showing the moon and the planets, the solar system, the constellations, the Milky Way, and structure of the Universe as it’s understood by astronomers today. These are real educational treasures — don’t miss them! 🌕 And speaking of THE MOON … at the beginning of this week it’s full! Track the moon’s phases each month at timeanddate.com/moon/phases, and dial up this week’s constellations with your River Houses star atlas (riverhouses.org/books). MONDAY (27 August) — One of the most massive volcanic eruptions in recorded history took place on this day in 1883 in the Krakatoa archipelago in Indonesia. Over the course of the previous day an ash cloud seventeen miles high had developed over the islands, and on the 27th four massive explosions occurred, the largest of which was heard 3000 miles away in the Indian Ocean. The ash injected into the atmosphere by the Krakatoa eruption produced vivid sunsets all around the world for many months. TUESDAY (28 August) — Today is the birthday of American naturalist and artist Roger Tory Peterson (1908–1996), whose series of compact field guides helped to make amateur bird study popular around the world. ⬩ And on this day in 1963, Martin Luther King, Jr., delivered his famous “I Have a Dream” speech on the steps of the Lincoln Memorial in Washington, D.C.
WEDNESDAY (29 August) — Today is the birthday of the great philosopher of liberty John Locke (1632–1704), whose works influenced the framing of the American system of government. THURSDAY (30 August) — Today is the birthday of English novelist Mary Shelley (1797–1851), the author of Frankenstein: or, The Modern Prometheus (1818). ⬩ It’s also the birthday of baseball great Ted Williams (1918–2002), the last major league player to bat over .400 in a season (1941). FRIDAY (31 August) — Italian educator and physician Maria Montessori was born on this day in 1870. Her approach to early childhood education remains popular in homeschools as well as in public and private schools around the world today. SATURDAY (1 September) — A New River Houses Year Begins. Let the river run! 🌎 EVERYTHING FLOWS, even the stars: Our “country” of the week is the Universe, so our Weekly World River is the constellation Eridanus, the celestial river, which flows east from the feet of Orion and then south over the horizon into the Southern Hemisphere. You can chart its course in your River Houses atlas and star atlas (riverhouses.org/books), and you can read much more about it in the comprehensive Eridanus entry in Wikipedia, or perhaps on your next visit to your local library. ❡ Let the river run: Why not do a homeschool study of world rivers over the course of the year? Take the one we select each week, or start with the river lists in your almanac (pages 691–692), and make it a project to look them all up in your atlas, or in a handy encyclopedia either online or on a weekly visit to your local library. A whole world (or universe!) of geographical learning awaits you. ❡ Did you know…? You can teach a hundred little lessons with our “Quick Freshes” posts each week just by dropping questions into your daily conversations with your students and inviting them to discover more. For example: “Did you know that the United States territory of American Samoa, about 2000 miles southwest of Honolulu, is the most southerly of all U.S. lands?” You can find a facts-and-figures outline of American Samoa on page 592 in your River Houses almanac and a map of the territory on plate 109 of your River Houses atlas (riverhouses.org/books). 🌔 THE MOON at the beginning of this week is gibbous and waxing, heading toward full on the 26th. Track the moon’s phases each month at timeanddate.com/moon/phases, and dial up this week’s constellations with your River Houses star atlas (riverhouses.org/books). MONDAY (20 August) — On this day in 1975, NASA launched the Viking I Mars probe. Viking I became the first successful Mars lander and remained in operation for more than six years. (An earlier probe, the Soviet’s Mars 3, did successfully land on Mars in 1971, but it transmitted for only 14 seconds.) ⬩ Today is also the birthday of American writer H.P. Lovecraft (1890–1937), author of many creepy (but popular) horror stories. 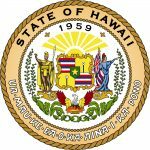 TUESDAY (21 August) — On this day in 1959, Hawaii became the 50th state of the union. ⬩ The Great American Solar Eclipse of 2017 took place on this day, just last year! WEDNESDAY (22 August) — The English Civil War between the King and Parliament began on this day in 1642 when Charles I raised the royal standard at Nottingham. ⬩ Today is also the birthday of famed French pianist and composer Claude Debussy (1862–1918). FRIDAY (24 August) — Although there is some debate among scholars, this is generally believed to be the day on which Mount Vesuvius erupted in A.D. 79, burying the ancient Roman cities of Pompeii and Herculaneum. ⬩ On this day in 1814, during the War of 1812, British troops captured the city of Washington and burned the White House and the U.S. Capitol. SATURDAY (25 August) — On the second day of the burning of Washington in 1814, the U.S. Treasury, the Library of Congress, and other public buildings were destroyed by British Troops. ⬩ It’s also the birthday of American illustrator Walt Kelly (1913–1973), the creator of the comic strip Pogo. ⬩ And today is also the birthday of the great American conductor and composer Leonard Bernstein (1918–1990). HAWAII (the 50th state, 21 August 1959) — The Aloha State. Capital: Honolulu. Hawaii can be found on page 569 in your almanac and on plates 46 and 142 in your atlas. Name origin: “Possibly derived from Hawaiki or Owhyhee, Polynesian word for ‘homeland’” (almanac page 423). State bird: Hawaiian Goose (Nene). Website: hawaii.gov. ❡ Little lessons: You can teach a hundred little lessons with the state-of-the-week, using your reference library (riverhouses.org/books) as a starting point. Find the location of the state capital in your atlas each week. Look up the state bird in your bird guide. Read the almanac’s one-paragraph history aloud each week. Using each state’s official website (above), find and copy the preamble to that state’s constitution into a commonplace book over the course of the year. Practice math skills by graphing each state’s population and area. Look up the famous state residents listed in your almanac either online or at your local library. The possibilities are endless and they can be easily adapted to each student’s age and interests. Pick a simple pattern to follow for a few minutes each week, and by the end of the year, without even realizing it, your students will have absorbed a world of new geographical and historical information. ❡ Explore more: If you’re planning a comprehensive unit study of one or more of the U.S. states, be sure to investigate the collection of primary source materials for teachers available from the Library of Congress. In addition, the helpful State Symbols USA site (statesymbolsusa.org) has everything you and your students will want to know about flags, seals, mottos, state birds, and much more. Antarctica is governed by an international treaty that went into force in 1961. You can read much more about it on the comprehensive Antarctic Treaty System page in Wikipedia. Even though Antarctica has no native human population, it has had a rich history since its outlines were first descried in the nineteenth century. The “heroic age of Antarctic exploration” is a wonderful subject of study for any adventurous homeschooler. Your River Houses atlas (riverhouses.org/books) has a wonderful map of the Antarctic continent (plate 113), with extensive notes and annotations — quite worthy of exploration. 😊 Even your River Houses history encyclopedia has a brief outline of Antarctic history as the very last item in its collection of national history profiles (page 599). ❡ Did you know…? You can teach a hundred little lessons with our “Quick Freshes” posts each week just by dropping questions into your daily conversations with your students and inviting them to discover more. For example: “Did you know that your Bob O’Hara, the host of the River Houses, has been to Antarctica?” You can find a beautiful annotated map of the south-polar continent on plate 113 in your River Houses atlas (riverhouses.org/books). The area around section D3 is where I’ve been. 🌒 THE MOON was new yesterday and so is today a thin waxing crescent, a great time for stargazing! Track the moon’s phases each month at timeanddate.com/moon/phases, and dial up this week’s constellations with your River Houses star atlas (riverhouses.org/books). 🗓 TODAY (Sunday, 12 August) — Today is the 224th day of 2018; there are 141 days remaining in the year. Learn more about different kinds of modern and historical calendars on pages 351–357 in your River Houses almanac (riverhouses.org/books). ⬩ Today is the birthday of poet and educator Katharine Lee Bates (1859–1929), the author of the great anthem “America the Beautiful.” ⬩ It’s also the birthday of Austrian physicist and Nobel laureate Erwin Schrödinger (1887–1961), one of the founders of quantum physics. MONDAY (13 August) — Today is the birthday of American abolitionist and women’s rights advocate Lucy Stone (1818–1893). ⬩ It’s also the birthday of spooky British-American film director Alfred Hitchcock (1899–1980). TUESDAY (14 August) — On this day in the year 1040, Scotland’s King Duncan I was killed by his rival Macbeth — probably in battle, and not in his sleep as depicted in Shakespeare’s play. WEDNESDAY (15 August) — Today is the birthday of the French general and emperor Napoleon Bonaparte (1769–1821). ⬩ It’s also the birthday of the great British pianist and composer Samuel Coleridge-Taylor (1875–1912). ⬩ On this day in 1977, an Ohio State University radio telescope picked up a deep-space radio signal with unusual characteristics that seemed to indicate an intelligent source. Dubbed the “Wow! signal,” its origin remains unexplained and nothing like it has been detected since. FRIDAY (17 August) — On this day in 1807, the world’s first commercial steamboat service was inaugurated when Robert Fulton’s North River Steamboat departed New York City for Albany, 130 miles up the Hudson River. ⬩ Today is also the birthday of American folk hero, soldier, and politician Davy Crockett (1786–1836). SATURDAY (18 August) — On this day in 1920, the Nineteenth Amendment to the U.S. Constitution, guaranteeing women the right to vote, was ratified. 🌎 EVERYTHING FLOWS: Last week we completed our annual tour of the countries of the world (from which we had been selecting our Weekly World Rivers), so it is only fitting this week that we look to the source of them all. The ancient Greeks believed that the whole world (as they knew it) was encircled by a great flowing river, and they personified this river as the god Oceanus (Okeanos). Oceanus was one of the Titans, a child of Uranus (Heaven) and Gaia (Earth), and with his sister-wife Tethys, Oceanus fathered all the rivers of the world. You can read much more about this father of the waters in the comprehensive Oceanus entry in Wikipedia, or perhaps on your next visit to your local library. The ancient Greek god Oceanus (Ὠκεανός), father of all the rivers, and his wife Tethys. (Image: Wikimedia Commons.). ❡ Let the river run: Why not do a homeschool study of world rivers over the course of the year? Take the one we select each week, or start with the river lists in your almanac (pages 691–692), and make it a project to look them all up in your atlas, or in a handy encyclopedia either online or on a weekly visit to your local library. A whole world of geographical learning awaits you. 😊 AND DON’T FORGET: Friday the 13th comes on a Monday this month! ALASKA (the 49th state, 3 January 1959) — The Last Frontier. Capital: Juneau. Alaska can be found on page 564 in your almanac and on plates 45 and 142 in your atlas. Name origin: “Russian version of Aleutian (Eskimo) word alakshak for ‘peninsula,’ ‘great lands,’ or ‘land that is not an island.’” (almanac page 423). State bird: Willow Ptarmigan. 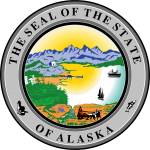 Website: alaska.gov. 🇻🇳 VIETNAM – in Southeast Asia. Population: 96,160,163. Capital: Hanoi. Website (in Vietnamese, Chines, and English): vietnam.gov.vn. 🇾🇪 YEMEN – in the Middle East. Population: 28,036,829. Capital: Sanaa. Website (in Arabic): www.yemen.gov.ye. 🇿🇲 ZAMBIA – in Southern Africa. Population: 15,972,000. Capital: Lusaka. Website (in English): www.zambia.gov.zm. 🇿🇼 ZIMBABWE – in Southern Africa. Population: 13,805,064. Capital: Harare. Website (in English): www.zim.gov.zw. These all appear in your current almanac, atlas, and history encyclopedia as well. For example, you’ll find the main entries for the African nation of Zimbabwe on almanac page 852, atlas plates 100 and 141, and history encyclopedia page 568, with illustrations, flags, and other mentions available through the indexes in each volume. ❡ Did you know…? You can teach a hundred little lessons with our “Quick Freshes” posts each week just by dropping questions into your daily conversations with your students and inviting them to discover more. For example: “Did you know that the African nation of Zimbabwe is alphabetically the last country in the world?” 😊 You can find a facts-and-figures outline of Zimbabwe, one of our countries of the week, on page 852 in your River Houses almanac (riverhouses.org/books) and on plate 141 in your atlas, with a map of the country on atlas plate 100. 🌘 THE MOON at the beginning of this week is a waning crescent — an increasingly good time for stargazing. Track the moon’s phases each month at timeanddate.com/moon/phases, and dial up this week’s constellations with your River Houses star atlas (riverhouses.org/books). 🗓 TODAY (Sunday, 5 August) — Today is the 217th day of 2018; there are 148 days remaining in the year. Learn more about different kinds of modern and historical calendars on pages 351–357 in your River Houses almanac (riverhouses.org/books). ⬩ It’s an important day in the history of press freedom! On this day in 1735, a jury acquitted John Peter Zenger and his newspaper, the New York Weekly Journal, of seditious libel against the governor of New York on the grounds that what they had published was true. ⬩ Today is also the birthday of American astronaut Neil Armstrong (1930–2012), the first man to walk on the moon. MONDAY (6 August) — Monday is the birthday of the great Victorian poet Alfred Tennyson (1809–1892). ⬩ It’s also the birthday of the legendary American comedian Lucille Ball (1911–1989). TUESDAY (7 August) — On this day in 1782, George Washington established the first American military decoration, the Badge of Military Merit, for soldiers wounded during the American Revolution. The award is today called the Purple Heart and it bears Washington’s profile. ⬩ Today is also the birthday of famed paleoanthropologist Louis Leakey (1903–1972). WEDNESDAY (8 August) — The wreckage of the Civil War submarine H.L. Hunley, which sank in Charleston Harbor, South Carolina, in 1864, was raised on this day in the year 2000. It contained the remains of eight Confederate sailors who went down with the vessel. THURSDAY (9 August) — On this day in the year 1173, construction began on a new bell tower next to the cathedral in Pisa, Italy. Still standing, we know it today as the Leaning Tower of Pisa. ⬩ Today is the birthday of the Italian scientist Amedeo Avogadro (1776–1856), beloved (or despised) by chemistry students the world over. FRIDAY (10 August) — On this day in 1519, five ships under the command of Ferdinand Magellan (1480–1521) set sail from Seville, Spain. Although Magellan himself died en route, one of the ships, the Victoria, traveling from east to west, successfully completed the first circumnavigation of the Earth. ⬩ And on this day in 1990, NASA’s Magellan spacecraft entered orbit around the planet Venus. SATURDAY (11 August) — The annual Perseid meteor shower will peak (probably) on the nights of 11–12 and 12–13 August this year. The Perseids are remnants of Comet Swift-Tuttle. 🌎 EVERYTHING FLOWS: Zambia and Zimbabwe are two of our countries-of-the-week, so it’s natural for our Weekly World River to be the Zambezi River, which forms the border between them. You can chart its course in your River Houses atlas (riverhouses.org/books), and you can read much more about it in the comprehensive Zambezi River entry in Wikipedia, or perhaps on your next visit to your local library.